"We did something so special to this town because we played for a city. 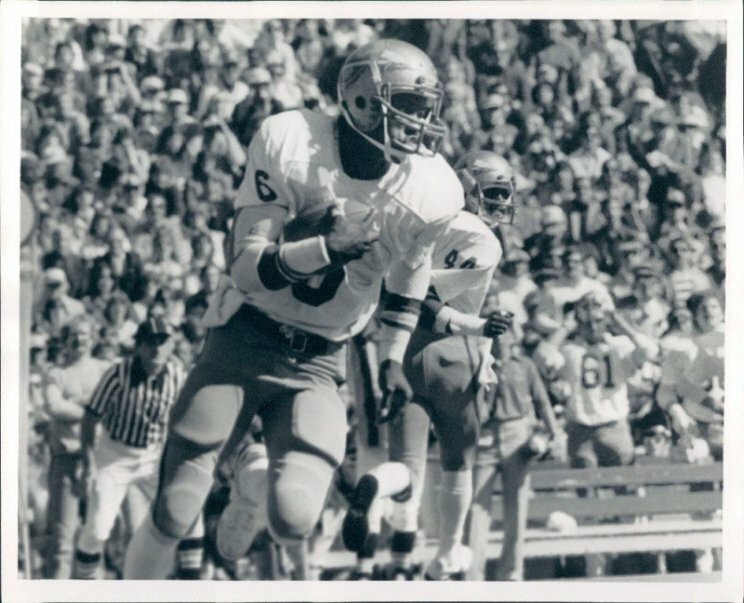 We didn't just play for the Bears or for the McCaskeys. We played for the city of Chicago. For every Bear fan who got off a plane in any city, they were proud to be from Chicago." 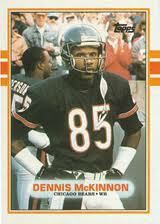 Dennis McKinnon is a former Chicago Bears Football Player and President/CEO of Bearly Active Productions, Inc. He is a Graduate of Florida State University with a major in Criminology. Dennis became a free agent walk-on with the Chicago Bears in 1983 and was a member of the Bears 1985 Superbowl Championship Team and still holds the Bear record for Post-Season scoring. 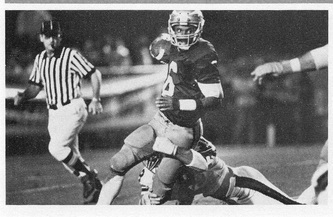 Became a free agent walk-on with the Chicago Bears in 1983. Was a member of the Bears” 1985 Super bowl Championship Team. Mike Ditka says “the best blocking receiver I’ve ever coached”. Holds Chicago Bear records for punt returns and post- season scoring. Finished his career with the Dallas Cowboys and Miami Dolphins. Bearly Active Productions Inc provides services that include but not limited to corporate events, motivational speaking, celebrity appearances, catering service and fundraising. One of Chicago’s most requested motivational speakers. Has has worked on several projects with Jesse White, Secretary of State including the Organ Donor Program and the Illinois Liquor Control Commission. Created to perform strategic marketing and promotions for corporations, community groups, charities and small businesses. Also a booking agent for celebrities and athletes in signings, motivational speaking, corporate events, etc. Financing, acquisitions, pre-approved loans, etc…. 2001- 2003 P.L.C.C.A / ACT- Senior Executive Director and Liaison to the President- Duties included fundraising, marketing, promotions, securing government grants, acquiring corporate leaders for our board of directors, spokesman and mentor to our youth. Responsible for securing direct repair relationships with all the insurance agents on the south side of Chicago for Gerber’s south side location. Offensive Coordinator- responsible for the offense, offensive coaches, game plan and recruiting.